For those who are not aware of Florence Nightingale, she revolutionized the nursing industry in the second half of the nineteenth century. She believed that providing a suitable environment was the difference in the recovery of patients. Seems simple, but it took someone like Florence to recognize this and show the truth behind it to doctors and other nurses. You may be asking what Florence Nightingale has to do with BNI or networking, but stick with me! As some of you know, one of my hobbies is speed skating. To be clear this is rollerblading, not ice skating, so if at first you thought I was cool, it is OK to think again. Growing up, I spent most of my time on eight wheels working and perfecting tricks. I would spend hours skating at the skate park or at the local school with some good rails. As I got older, the tricks got harder and rollerblading got less popular. Then, one of my friends bought a pair of speed skates and started going around trails, and it got me interested in speed skating. When he told me about speed skating I got super excited and got online and bought a new pair of rollerblades. I spent around $100 and I felt that would be a good pair for “recreation” and they were good brand of skates. But once my friend and I got together, I saw he spent $300+ on his skates. The big difference, when you are looking for speed, is the size of your wheels. I had 84mm size wheels and he had 110mm size wheels…. You don’t need to be a math whiz to know that is a BIG difference. So when we would go around the lake he was much faster than me and I had to work twice as hard to keep up with him. I was mad and jealous that I didn’t have the skates he had, but I already spent $100 so I had to make the skates work. For 2 years, I kept up with my friend, and my lap time got better and better. I even used an app on my phone to see how I was improving. But I finally hit a point where I needed to upgrade my skates. Now I have true speed skates with 100mm wheels! The first time my buddy and I went around the lake, I blew him out of the water! He could not keep up and at times I had to stop and wait for him. What I learned is skill and hard work is part of succeeding, but having the right equipment can make a big difference too. So let’s bring this full circle! 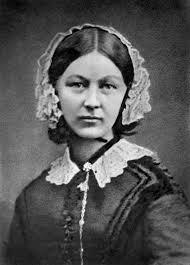 Florence Nightingale was a fantastic nurse before her theory. While working with doctors, she made the situation she was in work. Once she figured out the surroundings of a patient can change the way they recover, it truly changed the medical industry! Dr. Misner saw how networking was being done and he changed the way we do business by creating an environment where passing referrals was as common as drinking coffee. I was good at skating and could rock a five-minute mile with my original skates but once I got my speed skates I was unstoppable. And now I average four and a half-minute-miles! You can meet people and try to do business, but BNI gives you the “skates” you need to speed up the relationship building and start the referral passing sooner. You can be in a networking organization, or a coffee club, or even a bowling league and find new business. BNI provides you the “tools” or education to know how to use your environment to get referrals from the other members. That is why BNI works better than most other options. So next time you are inviting someone to your meeting and they say “I am already networking” or “I have a system to find my clients” let them know BNI is the Florence Nightingale theory of networking. BNI creates an environment that will maximize you opportunity to not just receive business but to pass business and help your clients. When someone doesn’t want to try BNI, let them know BNI is the 100mm size wheels! Other business owners and sales people have the 84mm wheels, they can keep up but once they make the switch to the 100mm wheels they will FLY by their old results and put everyone behind them as they get more business faster! But most importantly you need to realize you are in a strong environment to grow your business with your BNI chapter. You have the 100mm size wheels by taking advantage of education provided by BNI and other members. Using the Power of One report is the same as when I use an app to measure my speed when I skate. I know I am improving or if I need to do more leg workouts to build muscle. In the Power of One, report you can see how may one to one’s you are doing, how many referrals you are passing, how man CEUs you are doing, how many meeting you are attending, and even see how many visitors you are inviting. You can see areas to improve and work on those areas and move up to the green. If you ask any member that is in the green on the report, I bet they will tell you they are receiving referrals and getting more business out of BNI. For the record if you ever want to go skate around the lake, let me know! Just remember to bring you 100mm wheels not your K-mart special skates you got years ago!